Sunoco is a wholesale distributor of quality motor fuels. It was previously engaged in the chemical industry, retail sales, and oil refinery, but later divested these enterprises. Its headquarters is located in Dallas, Texas. The company was founded in 1886 in Pittsburgh, Pennsylvania, by Joseph Newton Pew, Edward Emerson, and Philip Pisano. Its former names were Sun Company, Inc. and Sun Oil Co.
Sunoco ranks in the Fortune 100 as a leading company in the petroleum industry. They operate around 4,700 stores in 26 states and has more than 6,500 employees (including affiliates). In addition to flexible schedules and competitive pay, Sunoco employees enjoy many benefits including paid time-off and vacation leaves, life and medical insurance, 401(K) retirement plan, discounts on products, and tuition assistance. 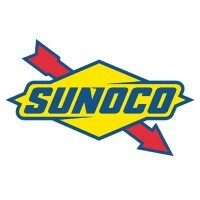 Fast-paced yet relaxed is the working environment in Sunoco. Being able to work flexible hours is particularly advantageous when there are family or other inconvenient emergencies. How old do you have to be to work at Sunoco? The minimum age requirement in Sunoco is 18 years old. Entry-level applicants may seek lower level positions such as store associate, fuel attendant, and customer service agent. Higher positions include managerial and supervisory roles at fueling stations and in the head offices. Interested applicants may seek retail or corporate jobs at Sunoco, depending on their educational background, level of expertise, and length of work experience. Entry-level positions provide both temporary employees and career-minded individuals with opportunities for employee benefits and competitive pay. The company offers regular/full-time and intern positions. Fuel Attendant: A fuel attendant provides prompt, safe, courteous, and efficient quality service to customers. They greet and acknowledge customers, ensure that the work environment is clean, safe, secure, and well maintained, and possess outstanding standards and product knowledge. They ensure that all customers receive superior service by providing an accommodating and friendly environment. Sales Associate: A sales associate greets customers, responds to inquiries and concerns, improves customer engagement with the services, provides high level of customer service, and ensures profitability of the store. A sales associate introduces opportunities and promotions to customers, is keen to achieve established goals, and must have excellent product knowledge and selling skills. Customer Service Agent: Everyday activities of a customer service agent at Sunoco include selling of lottery tickets and cash handling, both requiring trustworthy personalities and math skills. Other duties include cleaning and maintaining of facilities, assisting with customer purchases, and stock inventory. Customer-focused positions require adaptability, honesty, multitasking skills, and ability to work in a team. Cashier: A cashier handles all cash transactions, receives cash, check, and credit card payments, checks daily cash accounts to ensure accuracy of the sales amount, guides customers and answers their queries, and maintains daily, weekly, and monthly report of transactions. A cashier may also be responsible in providing assistance and training to newly hired cashiers. Truck Driver: A truck driver safely and efficiently transports crude oil to pipeline injection stations. They test crude oil to ensure quality, maintain the vehicle to guarantee compliance with all the regulations of the Department of Transportation (DOT), and comply with all the safety rules, procedures, and policies of the company. Store Manager: A store manager is responsible for the general operations of the store, making sure it operates cleanly and smoothly and that the staff perform their functions efficiently. A store manager must have strong leadership, decision-making, analytical, and customer service skills, and the ability to maintain and create budgets to meet sales or budget goals. Assistant Store Manager: An assistant manager takes on the duties of the store manager when the latter is off-duty. This individual assists with the overall store condition in order to maximize store profitability and guest services. S/he must be able to foster a growth-oriented work setting where employees seek to excel in their job and are recognized for their accomplishments. Shift Leader: A shift leader manages the shift when the assistant manager or facility manager is not around. This individual runs the staff effectively, directs other employees through their usual tasks, interacts with customers to ensure satisfactory customer experience, and oversees the overall operation of the store. Accounting Analyst: An accounting analyst ensures financial statistics are reported in an accurate and timely manner, and performs daily reconciliations to secure financial operations. They handle and resolve issues relating to inventory and provide support to general accounting, audit, tax, and operations departments. They also assist in resolving customer concerns regarding invoicing. Senior Integration Specialist: A senior integration specialist develops plans and leads projects relating to business integration, transformative initiatives, and strategic divestments. They research on acquisition targets to better understand assets, business processes, potential benefits, opportunity areas, and workflows. They prepare presentation materials and facilitate meetings to present integration projects. Sunoco has an online career portal where job hopefuls can search for job openings and submit their application. Retail job positions, such as fuel attendant and store associate, remain open for qualified candidates to fill. Applicants may also apply in-store. However, not all Sunoco locations offer this option so job seekers may need to contact or visit the store first to inquire whether or not in-store job application is possible in that particular site. When searching for job listings, applicants can filter the results by choosing the job category (whether in customer service/support or management), their preferred position type, and the location nearest to them. In all occasions, applicants must produce an effective resume that details past work experiences, educational background, and skills. Those who have experience and expertise related to the petroleum industry may gain further advantage. Many aspirants report success through in-person applications, which gives them the opportunity to meet the staff and personally express their keen interest in the position. When asked about availability, flexible schedules earn preference from the hiring team. Sunoco provides an exciting and dynamic workplace where people have the opportunity for growth and work-life balance. Gaining experience in cash handling and customer service gives advantage on future employments. Sunoco has been known for its high-quality fuels which contain additives (antioxidants and corrosion inhibitors) to help assure quality and increase shelf life. They constantly innovate and evolve to improve their products. The company’s being in the business for over 100 years attests to its reliability and quality of products and services. It has sponsored Penske’s Racing and the National Hot Rod Association, among others. As a way of giving back, Sunoco operates Stripes and APlus as a way to raise funds for Children’s Miracle Network (CMN) Hospitals. Over the years, they have raised millions for the injured and sick kids. 1 How old do you have to be to work at Sunoco?